CarbonTree Conservation Fund works to reduce carbon emissions and caused by tropical deforestation and to protect biodiversity and endangered habitats. Our REDD projects (Reducing Emissions through avoided Deforestation and Degradation) are aimed at protecting the most threatened habitats while providing resources to local communities that would otherwise depend on destroying forests for their livelihood. The carbon offsets generated from these projects meet the highest possible standards of quality and are third party verified using the Voluntary Carbon Standards (VCS), and the Climate, Community, and Biodiversity (CCB) Standards. Currently, REDD projects are not accessible to local groups due to the high costs of the verification process. We aim to make scientific resources available to local community groups and NGOs in developing countries and we help to develop and manage conservation projects working together with local communities. Together we can tackle climate change while protecting tropical forests. Please help us today! 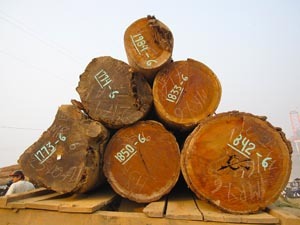 CarbonTree Conservation Fund was founded in response to a lack of high quality carbon offsets on the voluntary market. Offsetting carbon is an extremely important way to keep emissions out of the atmosphere and it can be done by improving technologies at landfills, increasing amounts of renewable energy, planting trees, and protecting tropical forests. Currently, the burning of tropical forests contributes to between 12% and 20% of global greenhouse gas emissions which is more CO2 than the entire transportation sector combined! Once burned, these forests do not regenerate and the species and local communities that depend on them are lost forever. Additionally, the burning of tropical forests creates a negative feedback loop which furthers desertification and the warming of the planet. The most effective, cheapest, and fastest way to limit our global emissions is to protect tropical forests from destruction. Through Reducing Emissions from Deforestation and Degradation (REDD), people in the developed world can help those in the developing world to achieve sustainable development that protects forests and reduces overall global emissions. Unfortunately, just like carbon offsets, not all REDD projects are created equally. The goal of CarbonTree Conservation Fund is to demonstrate that REDD projects can be a financially successful tool in reducing emissions from deforestation while maintaining scientific integrity, protecting biodiversity, and most importantly respecting the human rights and cultures of forest dependent peoples. We are a small group of biologists and professionals who came together around the goal of creating REDD projects of high quality that are financially sustainable for the local communities that govern them. Please help us by offsetting your carbon or making a donation today. CarbonTree Conservation Fund is a 501(c)(3) non-profit organization registered in the state of California.